Jace Vega has finally landed her dream job—working for Omnibus, an up-and-coming tech firm. But a mysterious message from her future self sets Jace and her old friend Corey racing to piece together clues before Omnibus destroys their future—and their past. This fast-paced thriller will keep you guessing till the very last page. To enter, follow Adrienne on Facebook or on Twitter, then leave me a comment letting me know you’ve done it. You have one week! I’ll choose the winner next Monday, 27 July 2015. Your character gets a message from his or her future self. What form does it take? What does it say? Okay, go enter for your chance to win a free book! Oh, man!!! A note from a future self? Although I like time travel stories, I’m way too chicken to try to write one, myself. Yikes! This is a hard challenge. I know, right? Time travel is hard! 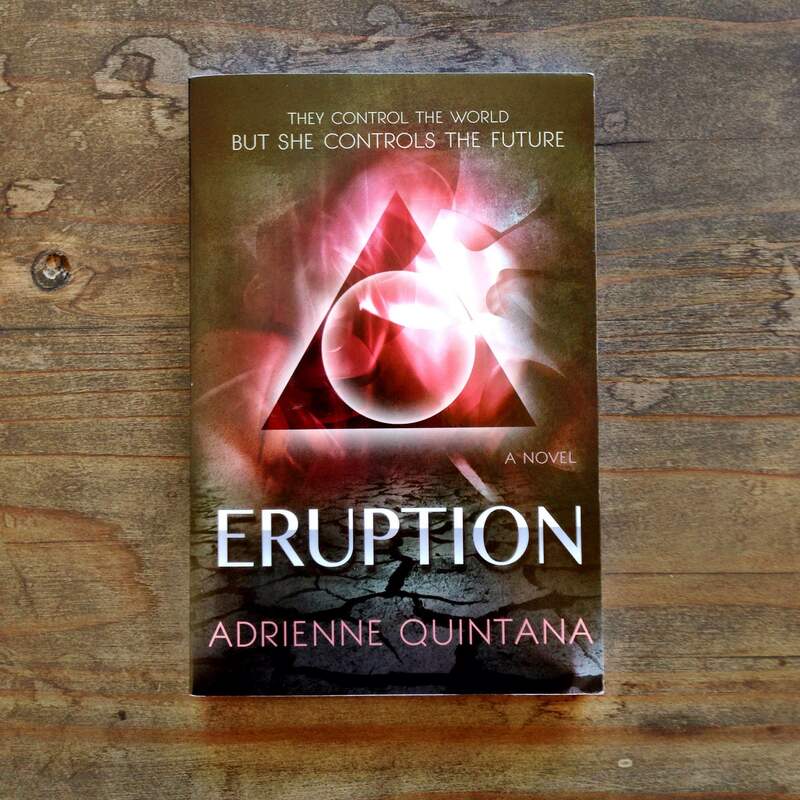 But I love the way Eruption handles it. Stellar thriller. You’re all entered in the giveaway! Good luck!